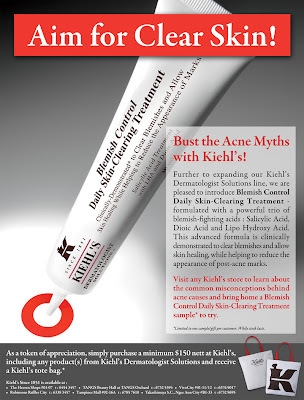 Kiehl's In Singapore: Bust the Acne Myths with Kiehl's! Bust the Acne Myths with Kiehl's! while helping to reduce the appearance of post-acne marks. Go to your nearest Kiehl’s store and get one now!! !